The worlds has crumbled. The Great Rains washed away most of it and the things we know and love have been lost. India’s world is most unlike the one we know, and her life is about to be turned upside down. Her father is missing, presumed dead, in Siberia and her stepmother wants to marry her off. She has bigger and better dreams than that though and when a tech-hunter lands on her doorstep claiming India’s father was searching for the long lost treasures of Ironheart she believes her true calling has arrived. She sets off on an adventure to find her father and the secrets of Ironheart, but soon she and her companions Verity and Calculus, learn that they are not the only ones in search of the treasure, and what lies beneath the mountain is more dangerous than any of them imagined. 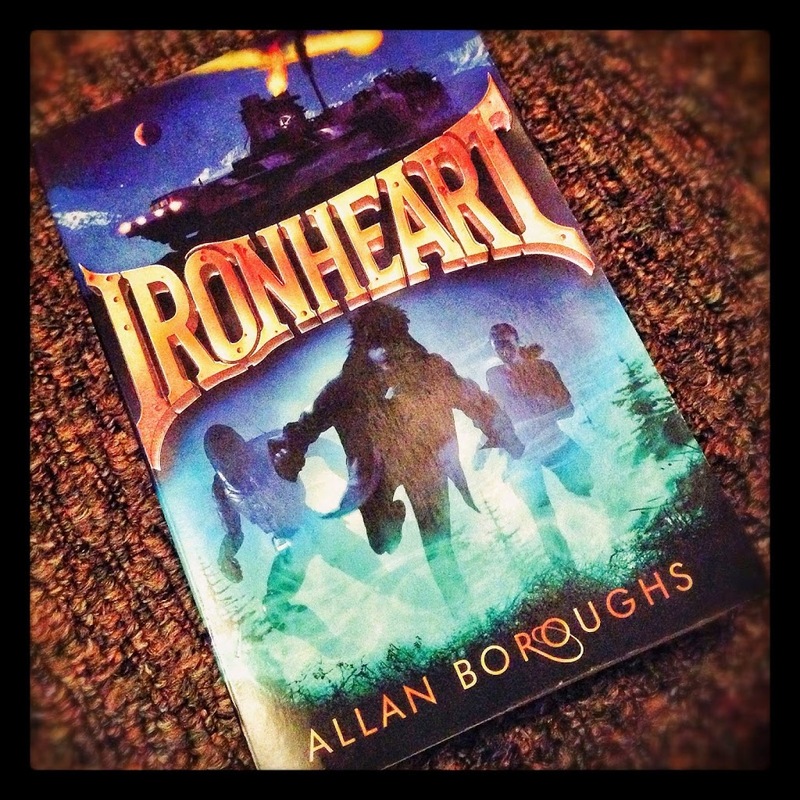 A fast paced, fun, female led adventure story, Ironheart will prove to be perfect bedtime reading for any 9 or 10 year old who dreams of scaling mountains and finding treasure. This book never slowed down and kept me on my toes the whole way through. India is a strong character who is very much alone at the beginning of this tale. She soon makes friends, and unfortunately enemies and I really liked that her sadness at the beginning could be replaced with good things towards the end. That’s not to say this story is a happy one though, there is death and hurt later on, and to be perfectly honest I was scared in certain places. Fear for the characters welfare and the world that India lived in gripped me towards the end of the book and I honestly found it hard to put down. I think this book is aimed at a middle grade audience and its writing style was good for that age range. It was easy to follow, flowed well and the vocabulary used will not cause issues at all. There were one or two elements of the book which seems geared more towards an older audience for me, like the reaction Calculus the android had to certain events, as I am not sure that a child of 9 would understand that… but thats basing my opinion of 9 year olds I’ve known, not all of them! Either way I think older kids will enjoy the book too, even with its more simple style as the journey the characters take is a brilliant one. I thought from my initial reading of the blurb and view of the cover that this book would be a bit steam-punky in genre but it wasn’t at all. Whilst I was disappointed with that at first I soon learnt that its setting hundreds of years from now is just as good and I was really impressed with the way Allan Boroughs presented a world which we can see very similarly to our own but which has changed so drastically. This was a fantastic book and upon turning the last page I was delighted to see there will be a second next year, especially as it is sure to be more of a companion book rather than a sequel as this one wrapped up brilliantly.